Mary Watson Whitney entered Vassar when it opened, in September, 1865, and was among Maria Mitchell's first students in astronomy. The assistant to Maria Mitchell until she succeeded her as chair of the astronomy department and as director of the observatory, Whitney built Vassar's research program in astronomy into one of the nation's finest. Mary W. Whitney was born in Waltham, Massachusetts, September 11, 1847, the daughter of Mary Watson Crehore and Samuel Buttrick Whitney. The family's ancestor, John Whitney, had come from London to Watertown, Massachusetts, in 1638. Her father's success in real estate enabled him to provide advantages for his family, and both her father and her mother strongly advocated the education of their children. From an early age, Mary showed an aptitude for study, and her teacher praised her skill in mathematics. She also discovered from an early age that she would not have the same advantages as her brother, who was allowed to go to Harvard. If not for the opening of Vassar, there would have been no further education for her beyond high school, except a couple of years at a ladies' seminary. Mary finished public high school in Waltham a year before Vassar was ready for students. She spent the year as a private pupil at a school conducted by Swedenborgians on the outskirts of Waltham known as Piety Corner. The principal of the school, a Harvard graduate and teacher in the Boston Latin School, had charge of the boys' preparatory work. As the result of his tutoring, Mary entered Vassar with advanced standing and was enabled to finish the course in three years. At Vassar, Mary Whitney entered fully into college life. She was president of the math club, was active in the croquet and chess clubs, wrote for student publications, and performed in dramatic productions. According to the astronomer and astronomic historian, Dorrit Hoffliet, "Her classmates called her 'Pallas Athene, Our Goddess of Wisdom'". Whitney also instantly got along with Maria Mitchell who, she said, "never sank the friend and teacher in the astronomer." She excelled in her classes because of her excellence in mathematics and her love of nature. Whitney was a member of the Hexagon, the group of six astronomy students, who attended Maria Mitchell's first Dome Parties in the Observatory. The group was very devoted to their studies because they felt that the future of higher education of women rested on their shoulders, an attitude that in part Maria Mitchell left with them. At a meeting of the Woman's Educational and Industrial Union in Boston a few years after Mitchell's death, Mary Whitney said, "She was, however, a constant upholder of higher education of women, as she was of the theory of co-education, and in time she became an ardent suffragist." 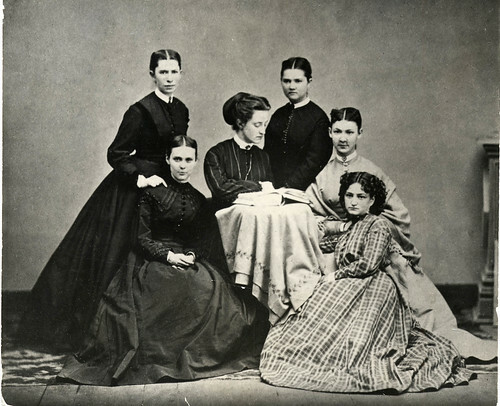 Maria Mitchell's first group of six astronomy students, known as the Hexagon. Mary Whitney, Maria Mitchell's successor, is seated in the center. Mary Whitney faced personal tragedies during her Vassar years. In 1867, her father died and her older brother was lost in a shipwreck in the South Seas. From then on she became head of the household, looking after her three younger sisters and her mother. 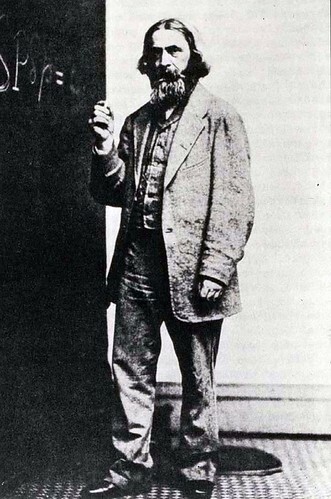 Maria Mitchell and her father, who lived in the observatory, were very close to Whitney, and through their friendship were her family away from home. When asked about the graduating astronomy class, Mr. Mitchell—like his daughter, a Quaker—said, "Thou art right in supposing that I must miss the graduated astronomical class. It is a more severe experience than I had imagined it would be. Cara Glover and Mary Whitney especially, who had in a manner adopted us as step-parents, are a great miss to us. Without disparagement… to Mary Whitney is to be awarded the palm of unrivalled qualities." Despite her family crises, one of her classmates said that, "From the first day of her college life she moved through her appointed orbit as serene and calm and as true to the line as the stars she loved so well." Continuing her studies after graduation, Whitney wished to read the Theoria Motus by Carl Friedrich Gauss, and Maria Mitchell gave her her own copy, in the original Latin and with many notes in the margins. She wrote in her notebook, "Gauss, M.W. Whitney, July 1868." After graduating, Whitney returned to Waltham for a time to care for her widowed mother, then taught school in Auburndale, Massachusetts. In 1869 she traveled to Burlington, Iowa, with Mitchell and seven other Vassar graduates to observe a solar eclipse with her three-inch Alvan Clark telescope, made especially for the occasion. From 1869 to 1870 she was invited to the mathematician Benjamin Peirce's lectures at Harvard on the algebra of quaternions—complex formulations valuable at the time in studying the orientation and rotation of objects in three dimensions— and also to his private class in celestial mechanics. Since Harvard was not open to women she went as his guest, waiting for him outside his gate in the college yard, accompanying him into the classroom until, feeling confident of friendly treatment from the Harvard students, she ventured to go alone. Years later, her classmates recalled an incident involving Whitney at Harvard. 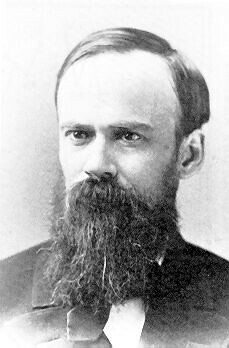 Professor Peirce had announced that he would give a course on Celestial Mechanics if at least three students could be found who were qualified to take it. The three found were William Byerly, James Mills Peirce, Peirce's son –already a professor in the college—and Mary Whitney. Despite these extraordinary accomplishments, the doors to employment in astronomy were closed to Whitney because she was a woman. Whitney's student and her successor at Vassar, Caroline Furness, sympathized with her struggle and explained," She could not help feeling resentful, not at her fellow students, who were not to blame, but at the prejudice existing against the progress of women." At about this time Whitney also spent a few months researching with Professor Truman Henry Safford at the Dearborn Observatory of the Old University of Chicago (1). According to Caroline Furness's 1923 article about Mary Whitney in Popular Astronomy, "No exact record of the dates can be found, but in a letter dated September 29th, 1870, written by one of her friends who was still at Vassar, mention is made of the unusual privilege she was enjoying in working with Safford and the wish is expressed that on her return from Chicago she would make a brief visit to Vassar." During these years Mary Whitney visited Vassar often, not only because her younger sister, who entered it in the fall of 1869, needed her advice and encouragement, but also because of the concern she shared with other early graduates about the future of the college. In June 1871, Vassar's alumnae association was formed, and Mary Whitney was elected president. Although there were little more than a hundred alumnae, they immediately began collecting money for a scholarship fund and considered pressing for alumnae representation on the board of trustees. After a year's discussion, a committee was appointed to draw up a petition for presentation to the trustees, and Mary Whitney was selected to be its chairman. In 1872 Vassar granted Whitney a master's degree. When her younger sister graduated and decided to study medicine in the University of Zurich, the whole family went abroad to live and travel in Europe. Ever the eager student, Whitney studied mathematics and celestial mechanics at the University of Zürich from 1873–76. She purchased a wide range of mathematical books, met other exceptional women in the medical school, and in 1876 returned to Waltham with her mother and brother, leaving her sister to finish her medical work. Whitney taught at Waltham High School between 1876 and 1881, before returning to Vassar as Maria Mitchell's assistant. These five years were probably the least satisfying for her; she felt her advanced training had prepared her for more than teaching high school. When she was older she would say, "I hope that when I get to heaven I shall not find the women playing second fiddle." 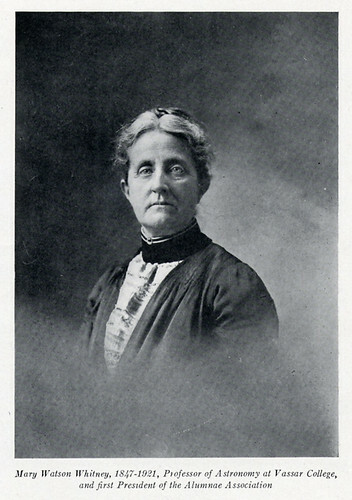 Smith and Wellesley had opened in 1875, but neither college had a department of astronomy, and although she could have taught mathematics at the latter, Caroline Furness conjectured that her Unitarianism would have prevented her from obtaining a position at solidly Presbyterian Wellesley. Mary Whitney returned to Vassar in 1881 to help Professor Mitchell, who was frail and needed assistance in her work. She helped teach and made routine observations with the transit instrument, but she did not have the opportunity work independently with the 12-inch telescope, which was seldom used except for demonstrations to the students. In 1887, Whitney was invited to research at the Harvard observatory, but soon gave that position up when Professor Mitchell resigned and asked her to take her place. In 1889 Mary Whitney took over as chair of the Vassar astronomy department. Maria Mitchell had not accumulated a great body of published work, and Mary Whitney saw the need to encourage research projects for publication. Whitney's courses and research concentrated in particular on double stars, variable stars, asteroids, comets, and the precise measurement by photographic plates. She devoted great care to her lessons by writing and re-writing them from year to year, but she also familiarized herself with the 12-inch telescope she now had access to. She spent many hours of the night with it until she felt she had mastered it and wrote her friend Professor Safford, now at Williams, for suggestions on how to use it. Feeling the need for an assistant and, like Maria Mitchell, finding that the college had no funds to hire one, Mary Whitney, again like her predecessor, used her own funds to hire, her former student, Caroline Furness, in 1894. Just as Whitney succeeded Mitchell, so Furness would succeed Whitney, and the Vassar Observatory issued 102 articles and publications under Mary Whitney's direction. Also as had Maria Mitchell, Mary Whitney felt a responsibility to advance both the science of astronomy and the rights of women. She fought against the notion that women could not carry on sustained scientific research. She published research cautiously and was strongly motivated by the need to advance her students' careers. Caroline Furness noted that "At first she worked falteringly, hardly daring to dignify her results by such a name as research and dreading to send away an article for fear it might be faulty, but she received steady encouragement from her astronomical friends Charles A. Young [an astronomer at Princeton], and Benjamin Gould, the editor of the astronomical journal. Her first large piece of work was to assist in determining the longitude of the Smith College Observatory then newly established, at the request of Professor Mary Byrd of Smith. The difference in longitude from the Harvard College Observatory was obtained by simultaneous observations at both stations with the help of Professor [Edward C.] Pickering." Mary Whitney also used her connections with other observatories and colleges to secure jobs for her students. In 1896, Dr. Harold Jacoby asked for young women trained in astronomy and mathematics to do the measuring and reduction of the astrometric photographic plates given to Columbia by Lewis Morris Rutherford. Professor Whitney recommended Florence Harphem, who started a computing bureau of female astronomers at Columbia, and three students from Vassar worked there. Soon after, a number of observatories across the country hired Vassar graduates from Mary Whitney's classes for computing. In retrospect, Caroline Furness—herself also an apprentice and then a doctoral student of Jacoby— claims, "In discovering such talents and in giving them preliminary training, Miss Whitney made a greater contribution to astronomy than she had any conception of." Mary Whitney also contributed to students' experiences out of class. She studied the bird life at Vassar and took her students on Sunday morning bird walks. They planned the first trip to the home of John Burroughs in West Park, and this led to the formation of the Wake Robin Club for the study of birds. O Jupiter, o Jupiter, where have you been all winter? We've seen old Saturn with his whirls. But Jupiter, o Jupiter, where have you been all winter? And did not seam to fear us. And twinkled with her brilliant eye. Before he hied him out of sight. While yet we were asleeping. O Jupiter, o Jupiter, why need you be so bashful? By nothing but a Vassar girl? Mary Whitney's students reciprocated with the following verses about her. 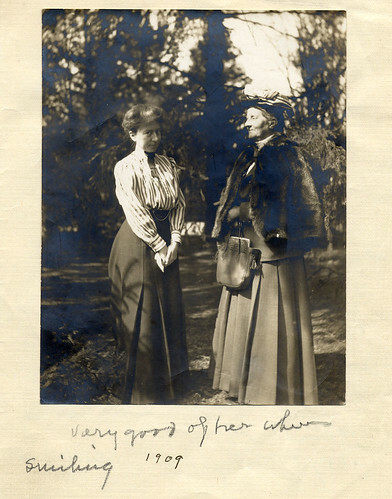 Professor of Physics Mary Whitney '68 (right) with Professor of Psychology Margaret Floy Washburn '91 (left) in 1909. This precession, and mutation, parallax, and aberration. I wish there were no errors. With precession, and mutation, parallax and aberration. For though "somewhat disfigured," he is always "in the ring,"
By precession, and mutation, parallax and aberration. In 1889, the same year Maria Mitchell died, Mary Whitney faced another family tragedy when her mother became ill and her sister became a permanent invalid. She gave up her private work, but she continued with her teaching and research. She moved into the Observatory and had the rooms of the Observatory enlarged so her mother and sister could live with her. Her mother and sister died two years later, and Mary Whitney resumed her work full-time. Whitney lived in the Observatory until 1915, when she retired. In the fall of 1910, Mary Whitney herself suffered, just after a morning class, a cerebral hemorrhage, or apoplexy, resulting, said her doctor, in the immediate paralysis of her entire left side. Having taken an extended leave of absence, she retired in 1915. She died of pneumonia, at home in Waltham, on January 21, 1921. Mary Watson Whitney thought of writing an astronomy textbook, and her years of experience directing the observatory and teaching the course on variable stars–the first in the country—more than qualified her. But, although there was a demand for a new text, she knew her health would suffer if she tried to fill it. Her student, Caroline Furness, who succeeded her in 1916 as director of the observatory, wrote the needed textbook, the highly influential Introduction to the Study of Variable Stars (1915). The book is "Dedicated to Mary W. Whitney, in Memory of Many Happy Hours Spent Together in the Pursuit of Our Loved Science." Before the founding of the present University of Chicago, in 1890 with funds supplied by John D. Rockefeller, a Baptist institution of that name, established by Stephen A. Douglas, flourished sporadically between 1857 and 1886, when financial collapse closed its doors. At their final meeting, in 1890, the university's board of trustees voted to adopt the name Old University of Chicago to make way for the new university that was about to open.